Nestled in a V-shaped valley etched out by millions of years of erosion from the San Miguel River, Placerville is at a crossroads. Just north of town is where State Routes 145 and 62 come together. 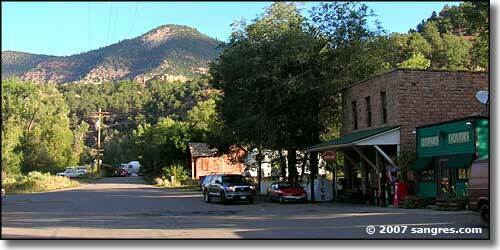 The Unaweep - Tabeguache Scenic & Historic Byway ends at that intersection. The San Juan Skyway comes from Telluride past Placerville to that intersection and then turns east on SR 62 to cross the Dallas Divide and reach Ridgway. 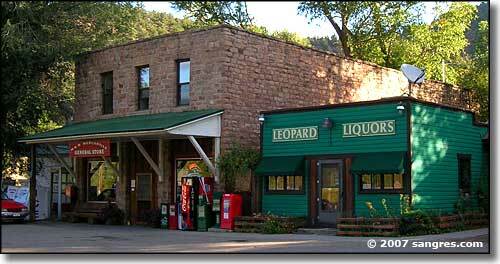 Placerville is probably the town that grew up at the site of several placer mines along the San Miguel River and Leopard Creek. A placer mine is a mining site where large quantities of streambed are dug up and then washed with river water to separate out the heavier precious metals, such as silver and gold. 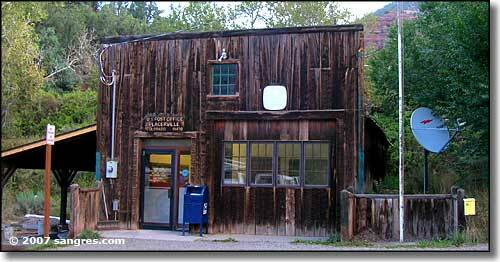 Being downstream from the hard-rock mines in the Telluride area, Placerville was in a good location to benefit from all the heavy minerals that had been washed down the river over the last 25-30 million years. Vanadium ore was also discovered near Placerville and by 1919, two local ore mills were producing about 30% of the world's supply of vanadium. The Placerville mines had produced about 3.7 million pounds of vanadium by 1940. In 1950, uranium prospectors came back and worked the tailings over again to remove the small amounts of uranium still present. 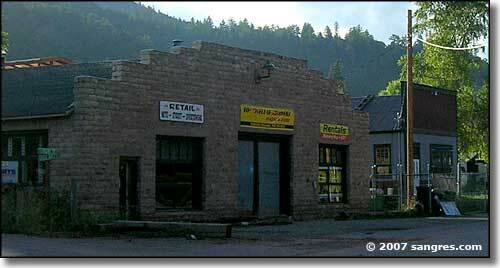 When the mining activities died out, Placerville was still on the main freighting and travel route into Telluride. Even now, that brings a lot of traffic by. These days, it looks like Placerville is a place where the folks who actually work in Telluride can afford to live.